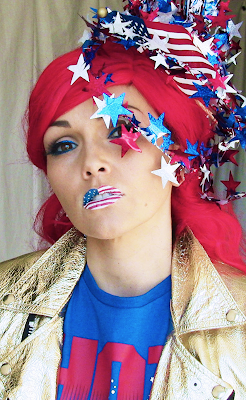 Happy and Festive 4th of July!!! This blog post will be short because I'm heading out to go to go celebrate the 4th of July, but thought you'd enjoy some "sparkly star photos" to inspire you to dazzle it up a litte extra today! I got all my awesome 4th of July Festive-ness from Wal-mart or the Dollar Store!